Well, love is certainly in the air!! 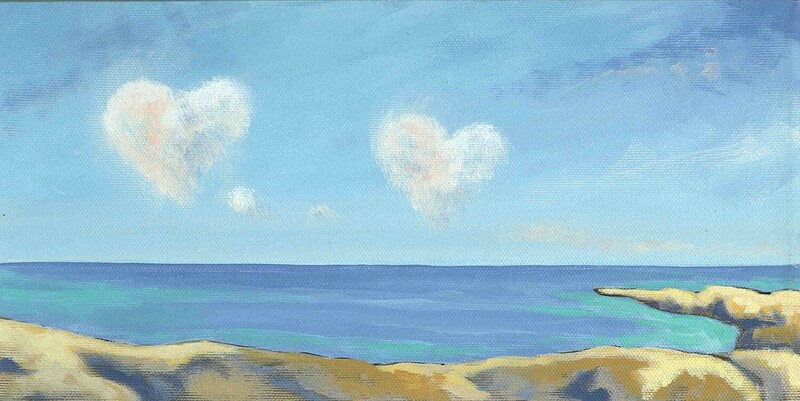 This little painting was originally done as a wedding gift. I think it makes a wonderful valentine, anniversary or wedding card. Each card measures approx 4x5" and comes in a cello sleeve with a white envelope. The card is left blank for your own creative sentiment. This is the smaller version without text. What a beautiful card so glad I got it.